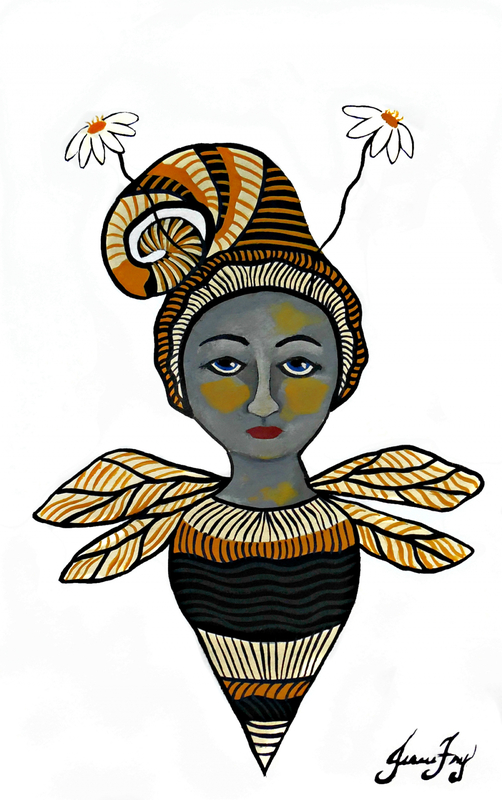 The "Empowered Bee Girl" is an Original Painting on Paper. 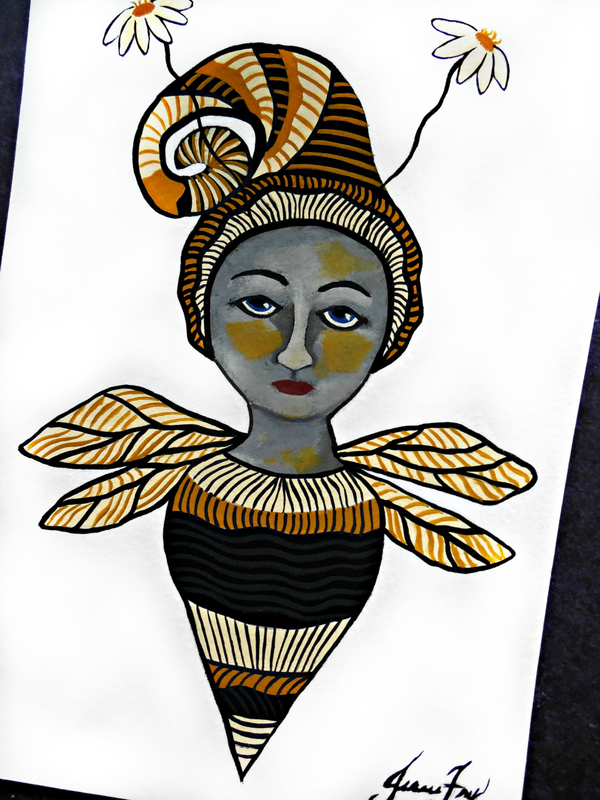 She is a balance of bold and delicate, who carries a message of "Bee You, Bee Kind, and Bee Love" written on the back of the painting with my signature. She was created using payne's grey, yellow ochre, ivory, and white on watercolor paper. Her antennae are two tall delicate daisies that float above her head. The painting is signed on the front, signed and titled on the back, and sealed with a matte finish. She will be sent you you UN-framed, allowing you to choose your own frame that matches your decor. It measures 5 inches x 7 inches.